When planning a wedding, there are a number of different details to plan to get everything in place. For the bride and groom, it can be challenging to stay organised and know each step to take during the planning process. Fortunately, a wedding event planner can make the event run smoothly with the help of a professional. When trying to choose the perfect wedding planner, Poppies Wedding Planners in Canberra offers a few tips to find the right fit. The experience that your wedding planner has will ultimately determine how qualified they are to plan a large event. It's important to find a professional who has worked dozens of weddings and has had to handle a variety of different challenges to ensure that they can problem solve. If the planner has only worked as an assistant, they may not be qualified to manage a whole wedding due to their lack of experience. You'll also want to ask if they've planned other weddings at the venue that you've chosen to determine if they're familiar with the location. They may have suggestions on the layout and logistics that you want at the venue. 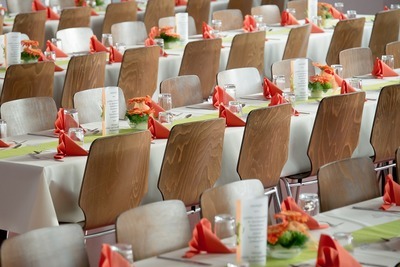 You can also ask to see photos of their work to determine if you like how they style events. The professional should also be able to provide you with references of recent couples who have used their services in the past. This will allow you to contact each person and ask if they were satisfied using the event planner. Although hiring wedding and event planning is one of the most important steps to take to ensuring that your event goes on without a hitch, you don't want to go over budget when hiring the right person. Many wedding planners charge a flat rate for their services while others charge 10 percent of the cost of the wedding. Find someone that you can afford to ensure that you don't have to cut corners with the flowers or wedding dress that you choose. From the table linens to the photo booth that you choose, you'll likely be using a number of different vendors for your wedding day. Your wedding planner should be able capable of handling the delivery, arrival, and different setup times of all of the rentals to ensure that everything is ready when it's time for the ceremony and reception. Some planners aren't willing to handle all of the vendors and will maintain more of a consulting role by assisting you with booking different vendors rather than taking a hands-on approach. You'll need to determine how much work you want to do yourself and if you need to assign a family member or friend to work with the vendors on the day of. 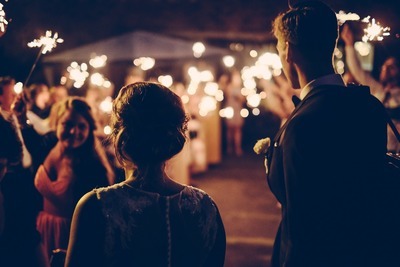 If you're planning a larger wedding that has over 150 guests, it's important to consider hiring wedding event management	that has multiple people on staff to assist with the event. This will ensure that different tasks can be performed simultaneously before the wedding and on the day of. 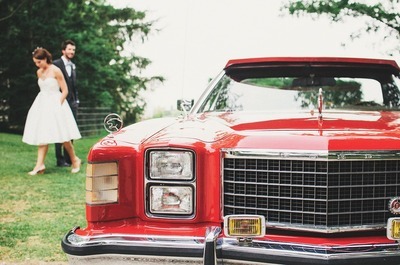 Find someone who will bring along assistants, stylists, and coordinators to the wedding. This will ensure that you can relax and avoid worrying about any tasks or problems that may come up unexpectedly. The planner should be able to tell you how many people they'll need to assist them based on the size of your event. The individual that you hire should have insurance to protect you if any problems occur during the wedding planning process. Ask about the details of the policy and the types of scenarios that it covers. This should also cover any damage that occurs from the planners at the venue to ensure that you're not responsible.